Blackberries are such a classic taste of autumn and are a wonderfully versatile fruit, pairing well with sweet and savoury dishes alike. I decided to try my hand at creating a savoury dish using the delicious berries. 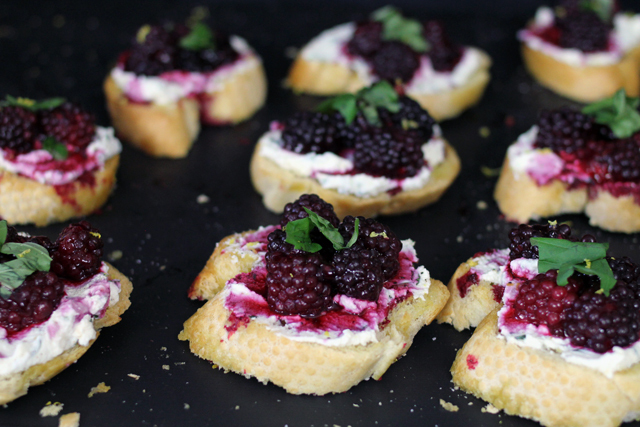 Blackberries, basil and lemon go wonderfully together and combined with ricotta on bruschetta make one of my favourite flavour combinations. 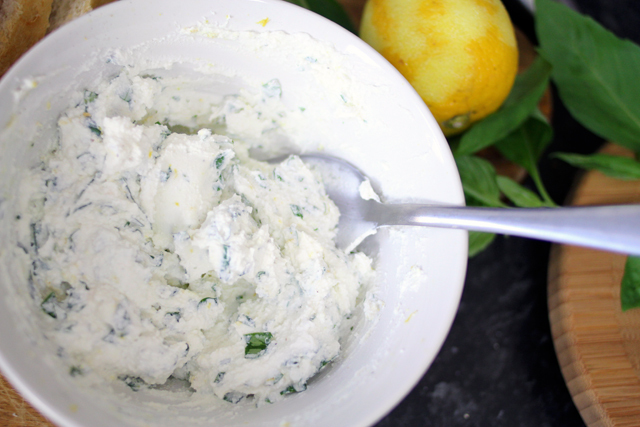 They are sweet, savoury, tangy, creamy, crunchy and chewy all at once - all of the adjectives! This dish would make an impressive, yet simple starter or appetiser at a dinner party, or just great for a slightly more decadent lunch. 1. Preheat oven to 180˚C (160˚C with fan or 350˚F). Line a baking tray with baking paper, wash and dry blackberries and place onto tray. Drizzle with a small amount of olive oil and sprinkle with a pinch of sea salt. Roast in the middle of the preheated oven for 15-20 minutes. 2. 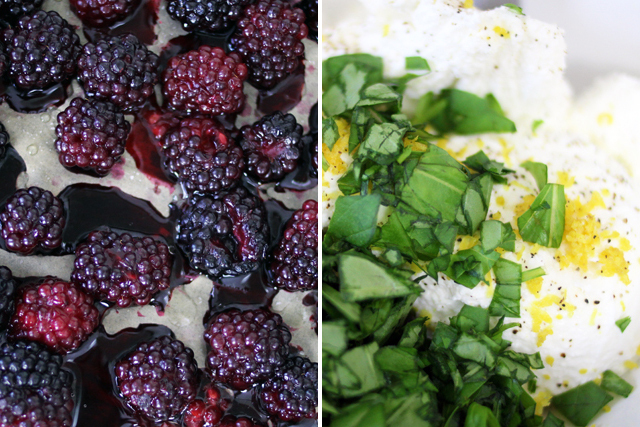 Whilst the blackberries are roasting, place the ricotta in a bowl and to it add the zest of an unwaxed lemon, finely chopped basil and a pinch of sea salt and ground black pepper. Mix until combined. 3. Remove blackberries from the oven, leaving the oven still on and set aside. Slice the baguette about 2cm thick and brush a small amount of olive oil on each side. Put the slices on a baking tray and then place at the top of the oven and toast for about 10 minutes or until golden brown. 4. 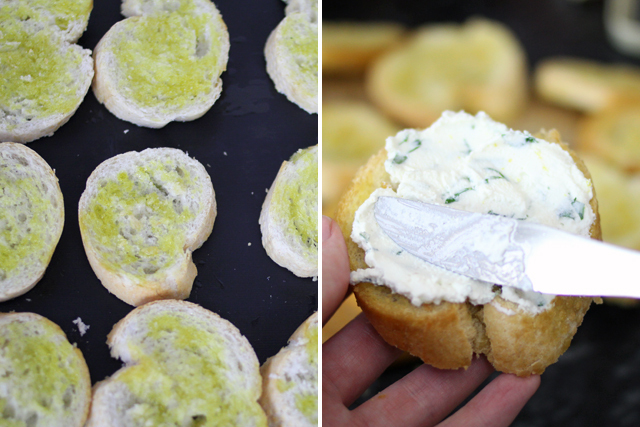 Remove the toasted baguette slices from the oven and leave to cool slightly. 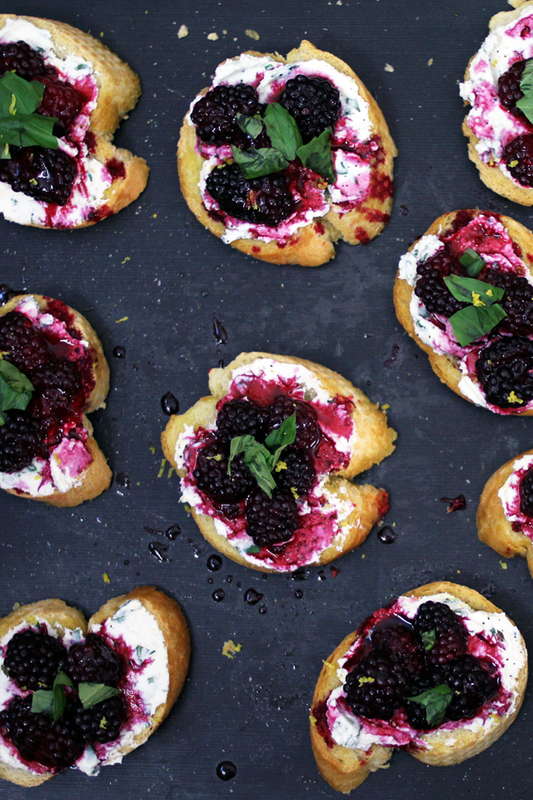 Once cooled, spread the ricotta mixture onto each slice, along with a few roasted blackberries, a few slivers of basil and a final sprinkle of lemon zest, salt and pepper. The quantities I've listed aren't strict at all, it is perfectly fine to give or take a few grams here and there. I'd love to know if you find this combination as delicious as I do, so if you do have a go at making it please be sure to let me know. Now excuse me while I go and scoff the lot! For other blackberry themed posts, check out my post where I went blackberry picking and my Boozy Blackberry and Elderflower Jellies (Vegan). Yum! That sounds so so good, I've never thought about roasting blackberries. Can't wait to give this a go this week! Oh my, what beautiful, beautiful photos. Had me drooling. My son *loves* everything blackberry (I made crumble last night) so I'm going to make these a treat for him for when he comes out of school....luckily have all ingredients on hand.....thanks for the recipe...delicious!